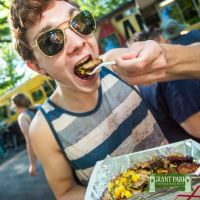 Join us for the 2nd Annual Food Truck festival in historical Grant Park within the heart of East Atlanta! We will host food trucks from all over the Southeast + local bands to enjoy while you grazing on the creations from amazing chefs! Did we mention that there is NO ENTRY FEE?! Bring your friends and family to spend the day with us on April 1st! Mark your calendars!